Who owns the Bobcat brand? The Bobcat brand was developed by Melroe Manufacturing Company, the company that began manufacturing the Keller brothers' skid-steer loader in the 1960s. Through the years, however, several companies have owned the famous Bobcat brand, including Clark Equipment Company, Ingersoll Rand, and now the South Korean equipment giant Doosan Infracore. 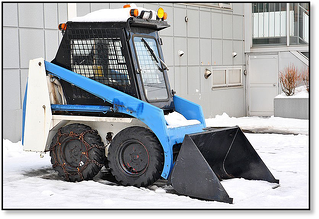 What prompted the invention of the SSL(Skid Steer Loader)? There was one particular animal whose manure was the driving force behind the development of the skid steer loader: the turkey! It seems that one turkey farmer had enough of trying to clean up his barns, and presented the problem to the Keller brothers in the mid 1950s. He needed a small, agile machine that was light enough to work on multiple stories in his barn but powerful enough to move that unpleasant manure in a timely, efficient manner. The skid steer loader evolved from that point into the machine we know today. Bobcat doesn't just manufacture SSLs, even though the name is synonymous with them. Currently, Bobcat's product line also includes compact excavators, a full line of loaders (including skid steer loaders, compact track loaders, and mini track loaders), utility vehicles (including their own Toolcat work machines), telehandlers, and just about any kind of attachment you might need. Also offered are, of course, Bobcat replacement parts. In the past, the Bobcat brand has also been on other types of construction equipment including compact tractors and wheel loaders. Does Bobcat mind that their brand name is a generic term for SSLs? Bobcat skids steer loaders are so well known that many times people refer to them as Bobcats regardless of the brand of the machine. Believe it or not, Bobcat is not especially happy about this. In fact, they have an entire page dedicated to all the reasons they wish people wouldn't use Bobcat as a generic term. 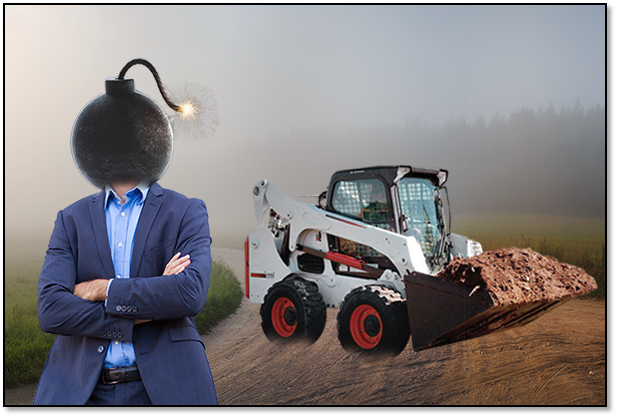 They are concerned that calling just any skid steer a Bobcat could weaken the strong reputation that Bobcat has worked hard to build over the years. Their concerns seem quite justified. Why is Bobcat equipment painted white? Let's face it: it seems counter intuitive to paint something white that spends it days playing (oops, operating) in the dirt. First, Bobcats weren't always painted white -- early on they were red and yellow. 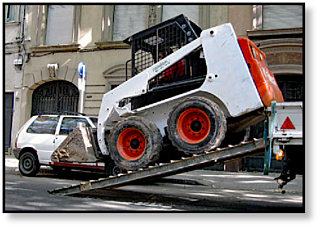 The color change occurred as more and more industries began to use Bobcat machines. Two industries in particular lead to the change: the dairy industry and the fertilizer industry. 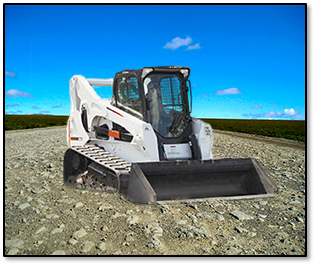 Both industries, who were investing in hundreds of thousands of dollars of Bobcat machines, needed their equipment to look clean -- so Bobcat switched to white as the primary color for their equipment. Bobcat refers to it as being "tough enough to wear white." The full history of Bobcat is quite fascinating, including the early designs of the first skid steer loader. Though the brand has changed hands several times through the years, it still has a strong reputation and remains a well-known trademark. Bobcat replacement parts, including final drives and hydraulic motors, are easy to find, and the machines are not hard to maintain. Keep your final drive is good working order through consistent maintenance. However, when normal wear and tear of your heavy equipment means replacement of your hydraulic drive motor check with Texas Final Drive new and reman final drives.